For numerous archaeological objects covered with strong sinter layers, restoration using traditional cleaning methods often fails. 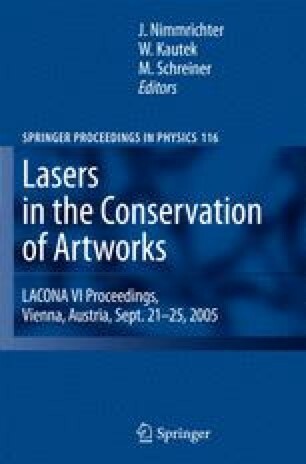 Within this study the potential of laser cleaning applied to archaeological pottery and glass artwork is presented. In this case the application of various Nd:YAG laser wavelengths leads to very satisfactory results, experimentally proven by SEM and EDX analyses.